Tansee iPod Copy Pack is an all-in-one iPod copy solution. 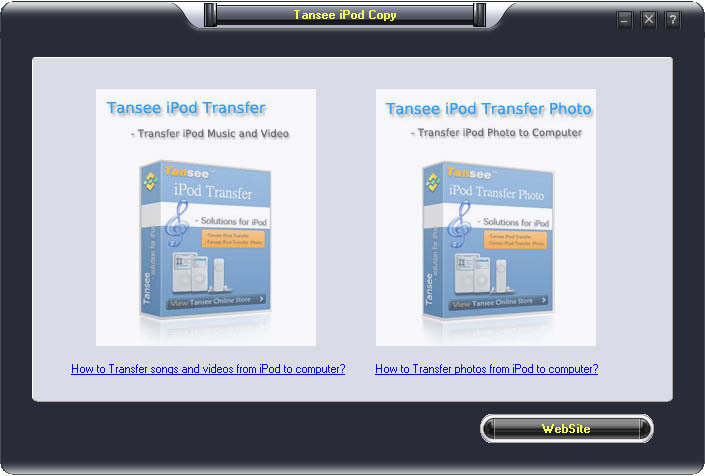 This Pack includes 2 software -- "Tansee iPod Transfer $19.95" and "Tansee iPod Transfer Photo $19.95". Now you can get this Tansee iPod Copy Pack at a very competitive price $29.95! Save $10!